1. 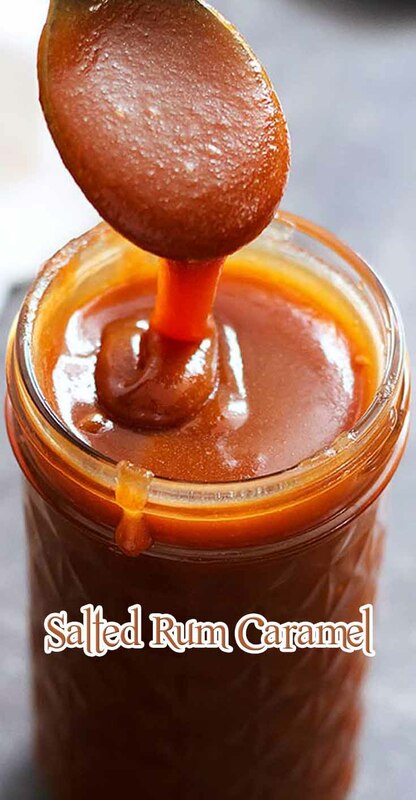 In a saucepan cook the sugar over medium heat, without stirring until the sugar is melted and turns a deep golden caramel. 2. Remove the saucepan from heat, and add the chunks of butter one by one and whisk until combined. 3. Slowly add the cream and then whisk until combined. 4. Return the saucepan to the heat and, cook the mixture over medium heat, stirring until the caramel has thickened, about 5-10 minutes. 5. Remove from the heat, add rum and vanilla bean seeds + a pinch of salt.